Now arriving: the most famous denizens of Halloweentown, ready to bring you an eerie delight! Disney Tim Burton’s “The Nightmare Before Christmas” inspires this Disney Nightmare Before Christmas Glitter Globe Collection, licensed from Disney and available from The Bradford Exchange, Hawthorne Village Division. A terrifying tribute to the holidays gone awry, this Nightmare Before Christmas glitter globe train collection begins with Issue One, All Aboard for Halloweentown, showcasing Jack Skellington within a glass globe on a sculpted engine that plays music from the film’s soundtrack. Soon, your glitter globe train collection continues with Issue Two, Carving Out Some Mischief, followed by Issue Three, O-o-o-ogie Boogie. Issue Four, Spooky Graveyard Picnic and additional Nightmare Before Christmas glitter globe train cars, each a separate issue to follow.‡Each vintage-style train car in this collection is a masterpiece of maudlin delight, featuring a real miniature glitter globe that showcases a hand-painted sculpted scene of favorite characters. With a gentle shake, bats swirl through a flurry of black and purple confetti inside the globe. 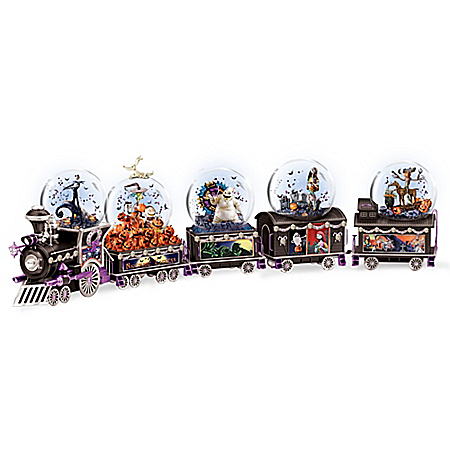 Each train car in this Disney glitter globe train collection is adorned with ghoulish accents and vivid art from the beloved film. 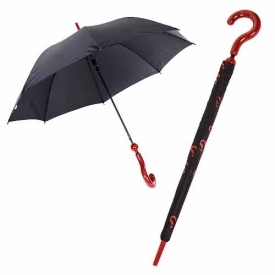 Demand is expected to be frightfully intense, so hurry! Order now!Fine collectibles. Not intended for children under 14.